What is LOVE, Dr. Cookerly? 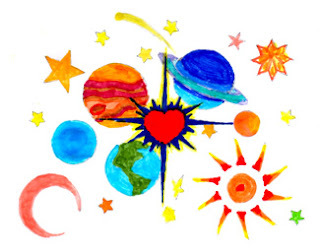 : Is Love the Most Important Thing in the Universe? With great perplexity George, one of my interns, moaned, “I don’t know which of my professors to side with. One says the subject of love is to be totally ignored and everything written about love should be disregarded by all serious thinkers because the subject is too fuzzy, muddled, means too many different things to too many people and in truth actually is quite meaningless. The other says that for 5000 years the world’s greatest sages have taught that love is the most important of all subjects and it should be a major focus for anyone trying to understand human nature, life and the universe”. George explained that both professors were going to be on his doctoral oral exams’ panel and both had indicated they would be asking him for his understanding of love and the role it should play in his future practice as a therapist. To him after 10 grueling years of higher education he worried that whether or not he might practice his chosen career, at his chosen level, looked like it might turn on this one question. What was he to do? Before we get to what George decided let me ask, “What would you do if you were George? Where do you really stand on the issue of love and its importance, both in your life and in your understanding of what’s really important? Do you take the position that love means too many different things to too many different people so there is no reason to bother about it? Do you think love is a meaningless term? (See the Definition of Love series listed at left) Do you believe love exists but is of minor importance? Do you suspect love is of enormous importance but don’t know what to do about that? Are you a diligent student of love, working hard to understand, give and receive it? To help you figure out the importance of love let’s look at a few things. Very similar teachings emphasizing the incredible importance of love are to be found in the timeless works of the major religions, and philosophies of the ancient world and the writings of a hundred other wisdom masters of old. You may ask what do more modern sages and especially scientists have to say about the importance of love. If you are one of those who see love as one of the most incredibly important, if not the most important, factors in the universe take heart because you are in good company. If you go to the trouble to look it up you will discover that there is a growing and great similarity to wisdom masters of old in the findings and teachings of those who recently have been looking into the nature and dynamics of love. From A to Z, or in other words from fields as diverse as anthropology to zoology, research is looking into love and finding astounding things. New understandings of the workings of love are emerging especially in the brain sciences of neurobiology, neurochemistry and psychoneurology. 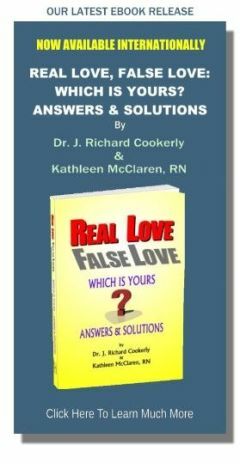 Likewise, practical applications of the new knowledge about love and its importance are being discovered in a number of medical and medically related fields. When a famous oncologist said, “If I can teach my patients to love their survival rate goes up” medicine rather seriously started taking notice of love. When a famous laboratory-oriented, experimental psychologist titled his most important research book Learning to Love the many fields of behavioral research took note. When modern fields as complicated as psychoneuroimmunology have symposiums oriented to love, scientists of many types begin to focus on love and its importance. Studies in the relatively recent past in experimental comparative psychology, cultural anthropology, social biology, ethology, primatology and even in behavioral economics have confirmed, substantiated and, thus, laid down a strong scientific research base for an understanding of what love is and how it works. New conceptualizations and understandings concerning love are being worked on in contemporary theology, modern philosophy, linguistics, evolutional spirituality, political science, historical analysis and in a plethora of other creative, intelligent, thoughtful endeavors. This, I think, gives considerable evidence and emphasis to just how important love is being seen in the modern world. If you run into nay-sayers who don’t have much regard for love you might want to inform them of these love facts. So, dear reader, with all that in mind let me ask just how important are you making love in your life? Is it the most important thing in the universe for you? Because you are reading this blog about love I suspect you’re doing pretty well. Let me ask another question. Would you do well to be talking to others about making love more important in their lives? Reading about love, talking about love and most of all practicing the behaviors of love are things we all can be doing to help make our personal world a more loving place. George, by the way, did fine in his oral exams having found a way to adroitly reply that both professors’ viewpoints needed vigorous, further exploration. It was then that they told him he had done an excellent job on his oral exams and they were just ‘messing with him’ to see how he handled a ‘double bind’ situation and because that’s just what professors sometimes do, all in the spirit of loving friendship of course. Which of these things might you soon do concerning growing your love knowledge and love ability? 2. Ask some of the people you are closest with to come to your place on a specific evening and have a group discussion about love and how to learn more about it. 3. Decide on and then enact a new way to demonstrate or communicate love to at least three people in your life who you perhaps have not recently shown much love to. Then will you evaluate how well you have done and how to improve?